Pro QC International works with businesses to develop and maintain their quality programs. Many of these clients have their primary suppliers based in China. 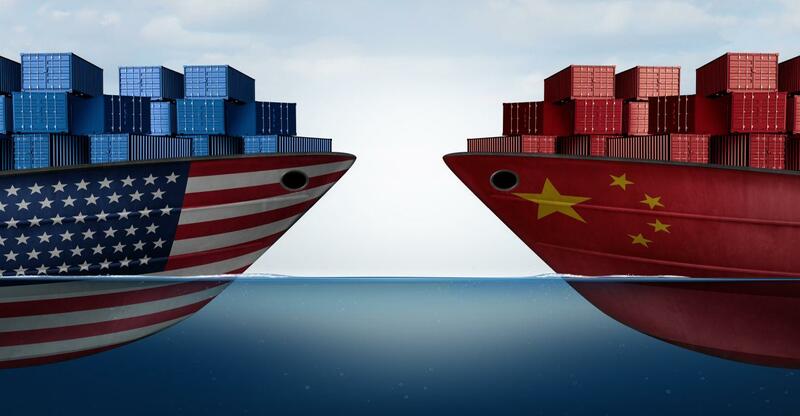 Due to recent trade escalations between the world’s two largest economies, the United States and China, U.S. corporations are finding ways to adapt and avoid extra costs as the tensions continue to escalate. Some prominent U.S. companies have already directly indicated that the U.S.-implemented tariffs will force them to pass down higher costs to customers and revise their earnings forecast downward. However, there is an alternate solution to pushing costs onto customers. Large U.S. companies, like Honeywell, Hasbro, and Boston Scientific, have indicated that they will increase the use of supply chain sources from non-China countries to counter growing costs related to the rising tariffs. Compal, a Taiwanese contract manufacturer of electronics, has mentioned that while “assembling notebooks outside of China could cost at least 3 percent more per unit, the possibility of U.S. tariffs could wipe out its gross profit margin of slightly above 3 percent last quarter.” (Wu, 2018) (“Factbox – Impact of U.S.-China trade tariffs on U.S. companies”, 2018). This is in fact one of the purposes of these U.S.-tariffs, to protect domestic industries and to make goods produced in an outside country less enticing. The goal is to eliminate the cost benefit that leads to companies purchasing from a country in the first place. Despite some larger companies having opportunities to appeal to the U.S. government for exemptions from tariffs that would directly affect them, most companies do not have the resources or power to make such an impact on the U.S. movement. Being that these tariffs are out of their control, many companies, some of which include Pro QC’s own partners, have begun to diversify their supply chains to prevent and avoid major business disruptions. With tensions escalating and potentially further tariffs to be added in the upcoming months, companies are rapidly looking into this option before costs in China become too high. For example, we have had clients cancel Initial Supplier Evaluations in fear that the tariffs will no longer make the potential new Chinese supplier a more affordable option than suppliers elsewhere. This uncertainty leads to a risk that is not worth taking. Diversification to suppliers from various countries will lead to a more robust supply chain that allows for resilience in times of uncertainty like now. However, companies that have limited resources or time to find new suppliers may find it very difficult to locate and transition to these new facilities. Pro QC can assist during this time with services like supplier selection and identification, supplier development, and inspection services to get new suppliers up to speed and ensure their products are meeting a company’s quality standards. If it is desired to replace an existing supplier, we provide help in identifying or transitioning to suppliers in countries that will not be affected in these trade disputes. As written about in a separate Pro QC blog post “China Sourcing Alternatives: Thailand,” other reliable manufacturing nations, notably Thailand, as well as Vietnam, India, and Mexico, also offer affordable costs and business environments. With local Pro QC teams in each of these locations and services in a total of 88 countries, our quality professionals will assist in executing any range of solutions required. This trade war will ultimately resolve itself, but when this will happen is unknown. China will remain a prominent player in the manufacturing arena, and removing all connection to the country may be impossible or too inconvenient for many companies. However, diversifying a supply chain can help create a buffer during times like these. Whether it’s needed to maintain relationships within China, or find a way to diversify, Pro QC is here to assist you create dynamic and innovative solutions.